Here are ten reasons, and many other small ones, to visit Thailand. If you’ve never been here before, and you’ve got a holiday coming up, keep reading! Once I give you a little information about Thailand I hope you will start planning your trip. Is The Food Delicious? Let’s Eat! Ready? 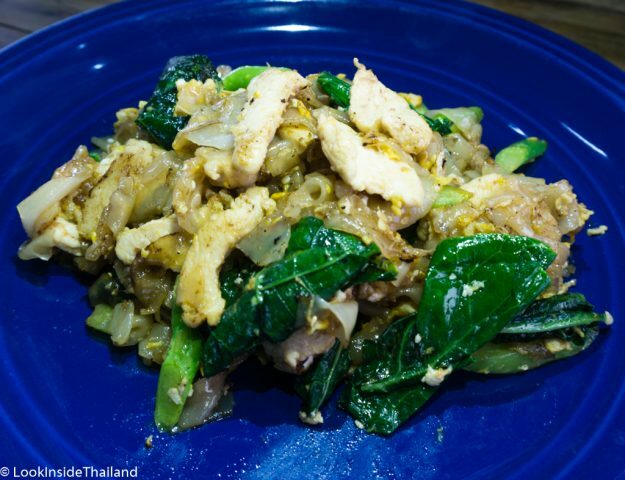 What is the first food you think of when I say, “Thai food”? Most people think of pad thai, which is very popular in many places of the world, but in Thailand it is not as common as most would think. The Thai food here is nothing like what you will find in your home country. 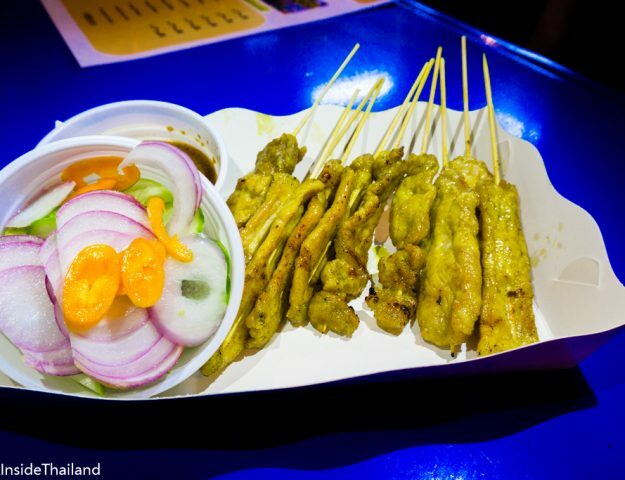 Each of Thailand’s four different regions has its own style of cooking and unique flavors. Here are a few dishes to check out to get a basic idea of some of the food you will see in Thailand. Som tam, noodle soup, satay. With all the different dishes and combinations, Thai food is an adventure for your taste buds: sour, spicy, salty, sweet and bitter. We have it all. As for me, I have lived in Thailand my whole life and still have not tried all the possible dishes and combinations. With all the delicious food options and unique flavors, you will be stuffed and smiling; ready for your next dish!! If you do not like Thai food? No problem! Expats from all around the world call Thailand their home and have opened many international restaurants in all the major cities in Thailand. Italian, Japanese, Indian, American, French, Spanish, Korean, Vietnamese, Brazilian, Vegetarian, German, Seafood, Middle Eastern you name it you can find it in Thailand. Check out my restaurant and street food reviews! It still makes me a laugh when the temperature drops to near 75 degrees Fahrenheit or 24 degrees Celsius and I pull out my sweater and foreigners and tourists are looking at me like I’m crazy! What can I say? Thais get cold easy! Northern Thailand, north of Bangkok, has three seasons. November to February, the cool season temperatures range from 68 to 90 with nice cool breezes. March to May, temperatures are the highest, ranging from 75 to 95. This is the hot season. May to November is the rainy season, temperatures range from 72 to 92. It does rain all day, from time to time, but mostly fast showers that pass quickly. Southern Thailand, south of Bangkok, has only two seasons: wet and dry. Now here is where it gets a bit weird. Depending on what side of the country you’re in, the east or the west side, will depend on the season. Yes, they do not have the same weather at the same time! The southwest side’s rainy season is from April to October and temperatures range from 75 to 92. The dry season is from November to March and temperatures range from 72 to 93. The southeast rainy season is from September to December and temperatures range from 78 to 86. The dry season is January to August and temperatures range from 79 to 92. In Thailand, as with most tropical locations, can be quite humid. As for the rain, it passes fast, most of the time. The best travel tip is: if you are going to the islands, the water can get really rough and lots of sea tours get canceled. Be sure to check before you head to that beautiful paradise. Where do I start? The number of adventures flying through my mind are endless. Corba village… Tiger Kingdom… monkey temples… elephant sanctuaries… open zoos… bargain shopping… outdoor markets… floating markets… zip lines… sea kayaking…scuba diving… parasailing… jungle trekking… cave exploring… mountain biking… snorkeling… whitewater rafting… waterfall rappelling… fishing… Muay Thai training… cooking schools… train trips… sailing adventures… Buddhist temples… river boat cruises… hot springs… cabaret shows… tuk tuk tours… museums… island hopping… full moon parties… and endless nightlife! 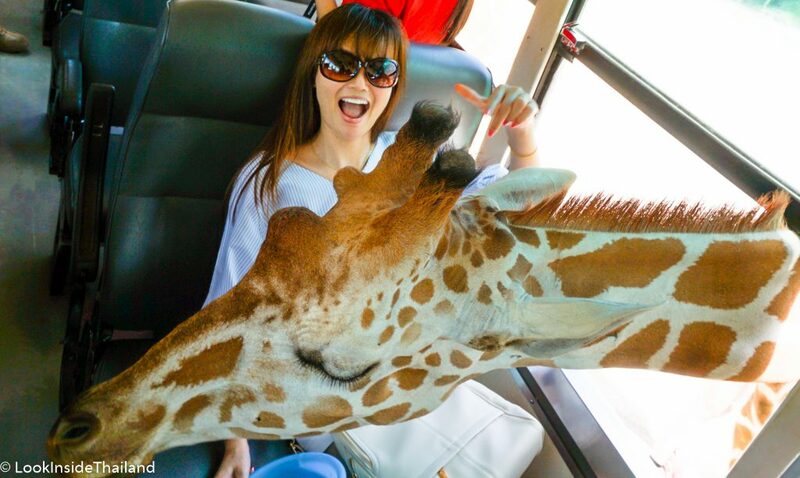 Feed the animals at the open zoos! I am only scratching the surface on what you can do in Thailand. The activities and adventures are endless. I could spend weeks talking about them all, but it’s best to experience them in person. If you’re planning a trip to Thailand, I always suggest you get online and read the reviews and comments. Most people will give you an honest opinion, good or bad, about their experience. In Thailand, we have lots of tour companies offering lots of adventures. Do not settle for the first one you find. Look for the ones with the best reviews and comments. Even if I have to spend a few extra baht because of better reviews, it is always worth the peace of mind. Oh how I love the beach! It’s just so relaxing for me, laying in a beach chair, drinking a coconut, enjoying some beach barbequed prawns while listening to the sea and gazing at the crystal blue green water. If you have not done much research on Thailand yet, we have some beautiful beaches. Maya Bay, located on Ko Phi Phi Lee, is only accessible by boat and is always voted as one of the most beautiful beaches in the world. The small beach is located in a tiny bay surrounded by limestone rocks. It is truly a paradise and is worth the visit, even though it is very crowded in the high season. If you are looking for something more secluded, Ko Libong is one of Thailand’s best undiscovered places. With all the beaches in Thailand, you will not have any problem finding amazing white sand beaches and breathtakingly clear water. The Andaman Sea has some incredible dive locations that are known for their underwater beauty. Ko Surin and the Similan Islands are awesome and they are best visited by a liveaboard, but are well worth the journey. If liveaboards are not your thing, you can dive great locations closer to shore at Kho Phi Phi, Koh Lanta and Ko Tao. Which can be done via day trips, and all can be setup easily with a local dive shop or with a dive resort that has an all-inclusive package. Spit in my mask! Really? If you’re a new diver or want to learn, Thailand is a really inexpensive place to start. Thailand makes the perfect destination for your next scuba adventure, no matter what level diver you might be! Let’s go! Thailand has some amazing landscapes and no matter how you decide to travel around the country, there always a great photo just out the window. Lots of people focus on the beaches in Thailand because we have so many beautiful ones, but the true adventurer would be missing out! 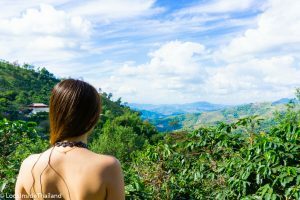 The mountain views in places like Doi Suthep-Pui National Park, Doi Chang or even Phetchabun, commonly referred to as the Switzerland of Thailand, are a photographers and trekkers paradise. Many weekends I will get up on a Saturday, jump in the car, and take a drive out of Bangkok. I always find myself de-stressed when the first rice fields come into view. The further you get from the cities, the more beautiful and different the scenery will get. In Thailand, you never know what you will find, it could be a heard of buffalo or a beautiful emerald lake, either way, it is all an experience to add to our memories. Want to Experience a New Culture? What really makes Thailand great in one word? People! Thai culture and traditions are reflected in the people! Thai people are friendly and happy to see tourists and always smiling and willing to help. With our own unique language, culture and food, Thailand is a remarkable destination for cultural tourism. We have thousands of Buddhist temples, our own traditional forms of song, dance and incredible cultural events like Songkran (Thai New Year and Water Festival) and Loi Krathong (Floating Basket Festival). The uniqueness of Thai culture gives your time spent in Thailand the feeling of something special. If you have never traveled abroad, or are a seasoned traveler, coming to Thailand is sure to give you many new experiences and wonderful memories. 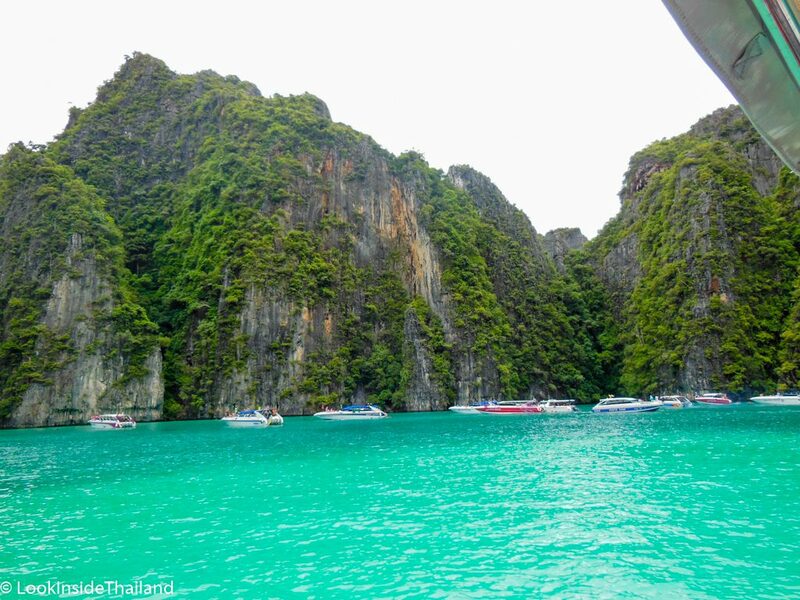 Take a look at 10 more beautiful photos of Thailand to see a few more places to visit on your vacation! 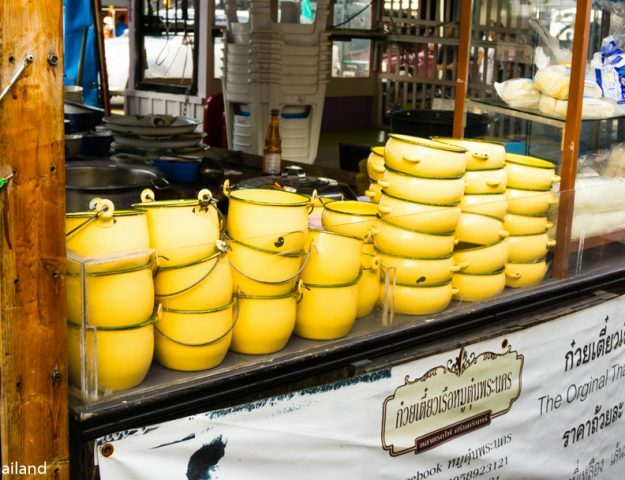 Experiencing Thai culture will help you understand just how different everyday life can be. One of the amazing things that gives my country its unique personality is the traditional Thai-style homes and buildings, which all have a direct connection to our history and culture. If there’s one thing I know for sure, it’s that Thai people love to have a good time! Bangkok and a few other bigger cities in Thailand have everything you could want in evening entertainment. 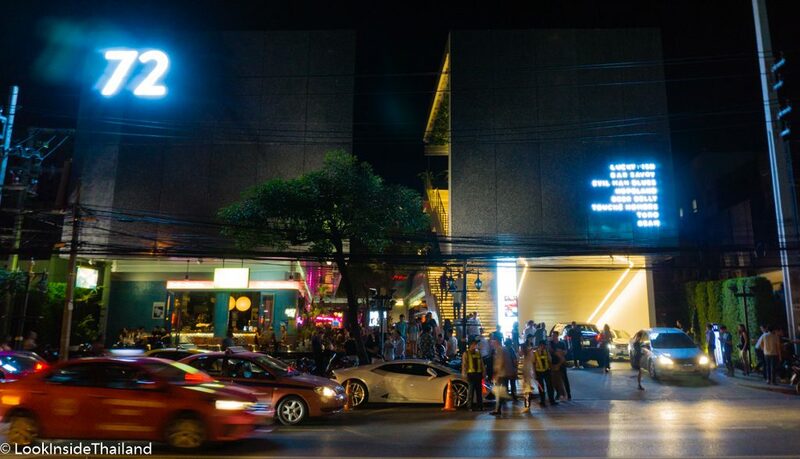 Wine bars, upscale nightclubs, Thai and Japanese-style karaoke bars, EDM clubs, discos and specialized expat bars; we have all types of nightlife available. Many are open until the early morning hours, so get your dancing shoes on and let’s go! Siam Paragon is a beautiful, high-end mall. Shopping! Okay, now we are talking my language! Where should we start? I guess at the top! 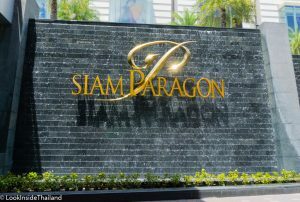 Siam Paragon, Emporium, EmQuartier, Siam Center, Central World are just of few of the high-end shopping experiences you can have in Bangkok. Need that new Lamborghini in lime green? Well, malls like Siam Paragon have ultra high-end car dealers in the mall! 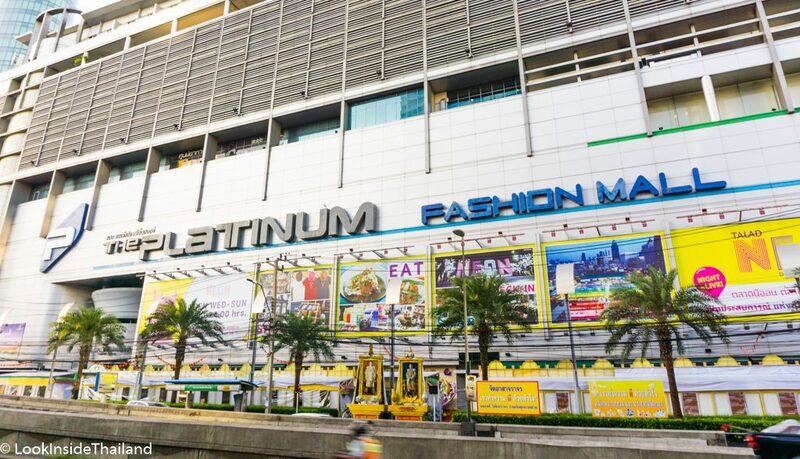 Endless shops like Louis Vuitton, Prada, Dior, Dolce & Gabbana, Cartier, Bvlgari, Burberry, Giorgio Armani, Chanel and Hermes can be found in a number of these malls. Now, wait just a minute what about all the other shopping? I am getting to that it is my favorite part! Find great deals at Platinum! We have great indoor and outdoor style markets, wholesale markets. We have multi-story buildings full of boutique style shops like Platinum Fashion Mall, super cool night markets like JJ Green, where you find local designers all doing very cute and unique clothing for great prices. Thailand has great shopping no matter where you go, finding that super cute outfit for a great deal is not very hard at all! Thailand is not the cheapest place to travel to in Southeast Asia, but it does come pretty close. One of the best things about Thailand is you can stay in amazing hotel rooms without spending a lot. You just get so much more for your money! While your home may be half the world away, you can stay in a room just as nice! Three, four and five-star hotels and resorts can be found pretty much anywhere you go in Thailand. If you’re not looking to stay at someplace fancy, you can always find something inexpensive and comfortable. When it comes to food, we have a lot of pretty fancy places and world-class food in Thailand, but we are also the world capital of street food! When it comes to food, no matter what your budget, you will find something that fits and is delicious! Click here to find great deals on hotels in Thailand! It is Easy to get Around! 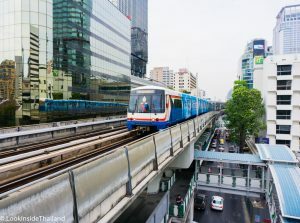 Bangkok BTS train is fast and easy! With millions of tourists coming to Thailand every year, getting around safely is important. The buses, trains, planes, and other vehicles in Thailand all work together to make traveling inside Thailand is easy. The kingdom also has over a dozen airports that make flying a convenient option for traveling inside the country. Want to see the country’s amazing natural beauty right up close? Buses and trains are another great option for getting around that can take you just about anywhere. Relaxing in reclining-seat buses or first-class sleeper trains might not be the fastest way to get around, but they will let you see Thailand’s beauty from a different perspective! Just remember, in Thailand no matter where you need to go, don’t worry! There’s always going to be some way available to get you there. One More Reason, No Visa Requirement! What else is there to say about this? So many other places in the world require travelers to go through the process of getting a visa before booking their plane tickets. Not in Thailand! Visitors arriving from just about anywhere in the developed world don’t need a visa of any kind. 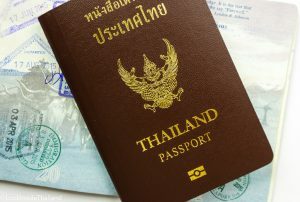 If you’re coming to Thailand for less than thirty days, for many countries, there is absolutely nothing visa-related that you have to do beforehand. Just buy your ticket, board your plane, and get stamped in upon arrival! Check to make sure your country is on that list or your counties visa requirements here with my visa blog post. Now start planning your next vacation to Thailand!